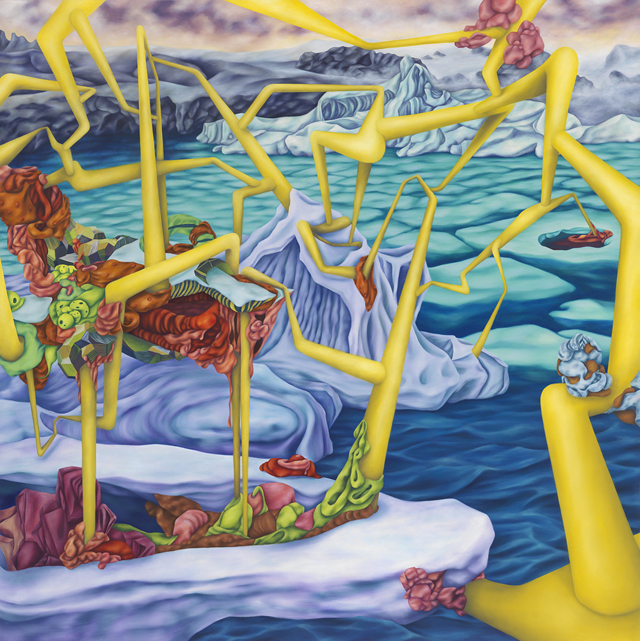 My studio work focuses on the idea of a fantasy world that inverts reality. Using sculptures and photographed images, I strive to create environments and creatures that are both familiar and alienated at the same time. The interest to conjure this fantasy world derives from adapting to two contrary cultures and seeking habitual comfort in their common similarity. This led me to explore unique interpretations of the landscape of alternate realities by questioning what would happen if we ignored common expectations and broke the rules of the “known” physical world. While truly unique and fanciful, the forms that I create interact with their surroundings in a way that is simultaneously logical and perspectival (evoking a traditional figure-ground relationship). I immigrated to the United States at the age of fourteen. Since then, I have been living apart from my parents; we visited each other once in two to three years. Under the circumstances, my older sister took a role of parenting through out my teen years. These experiences have been a significant impact on my earlier work where I conveyed the sorrow that was caused by the absence of parents and the role changes in my family. Bi-cultural experiences that derived from living in different cultures and surroundings play a pivotal role in my recent work. 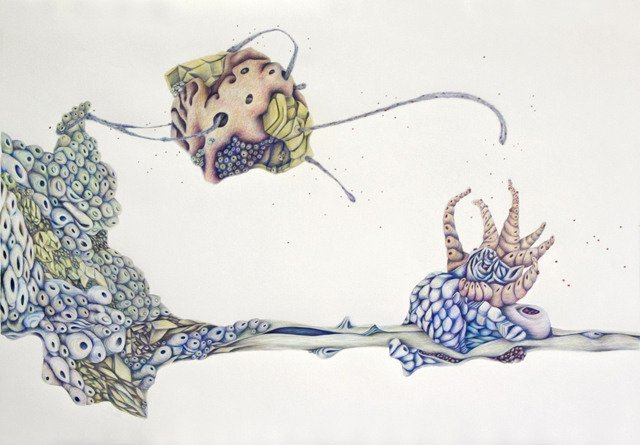 It became my inspiration to create the surreal world that consists of fantastic landscapes/ creatures referencing human biology and living organism. 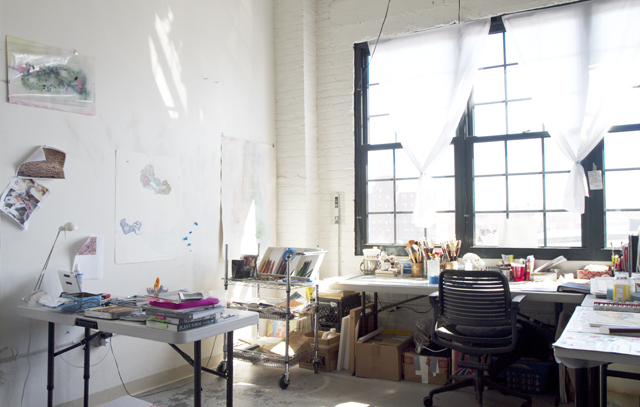 The notion of my studio practice falls into both working “in the studio” and outside of studio. Most of my days are spent in the studio I share with a small group of artists. This is a suitable environment where I am not isolated nor distracted because we all have different schedules. 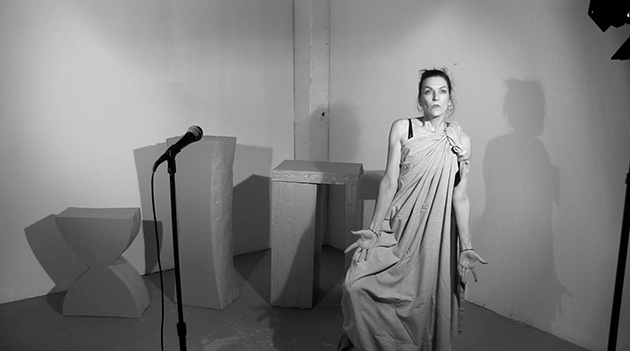 In my practice, interdisciplinary approach becomes an essential part of image creation. The development of my visual language of forms, shapes, colors and texture is inspired from, and the result of working back in forth in different mediums such as painting, drawing and sculpture. The process allows me to simultaneously think and problem solve both two- and three-dimensionally. As an emerging artist, being connect with your network and building relationships within your art community is a crucial part of your art career. When I am out of the studio, I usually attend gallery openings or socialize with fellow artists. This is another way of researching and sharing information about other art-related opportunities. When I first made art, I didn’t see myself to become an artist. In my undergraduate, I majored in art thinking that I would be a graphic designer. I never took any graphic design class; instead I fell in love with drawing and painting. How I can express myself through visual language became almost my own therapy. This was the start of my decision to delve into pursuing a career as an artist. Now, I make my current work hoping that viewers will perceive relationships to their own surroundings. I usually work whenever I can but I try to put at least 6 to 8 hours a day in the studio. I have always been a night owl. I tend to easily immerse myself into making art at night – when everything is quiet. My work has changed tremendously in the past five years. I moved to Boston to pursue my MFA program at the School of the Museum of Fine Arts and Tufts University. Since the program was well supported for an interdisciplinary practices, I began exploring a variety of areas and media, ranging from mixed media drawing and painting that expresses bi-cultural experiences, to sculptural installations that simulate a fantasy world overtaken by waste. Through experimenting and exploring, I was able to comprehend the pattern of my studio practice that demands that I work both two- and three- dimensionally. My current work depicts an inverse reflection of reality created through the observation of previously completed sculptures and photographs. From the list of artists that I appreciate and enjoy, Surrealist, Yves Tanguy and Anime Master Hayao Miyazaki have had the biggest impact on my recent work. Also, I’ve been following stop-motion films and videos that are made by Allison Schunlnik and a graffiti artist, Blu. My family has been unconditional supporters in my art career along with my fellow artists. It is always encouraging and inspiring to see your friends’ success in the art world. When I was young, I always wanted to become a fashion designer. I remember I used to design clothes in my little sketchbook. I let it go because I wasn’t great with the sawing machine. I still have love for fashion. So definitely a fashion designer! 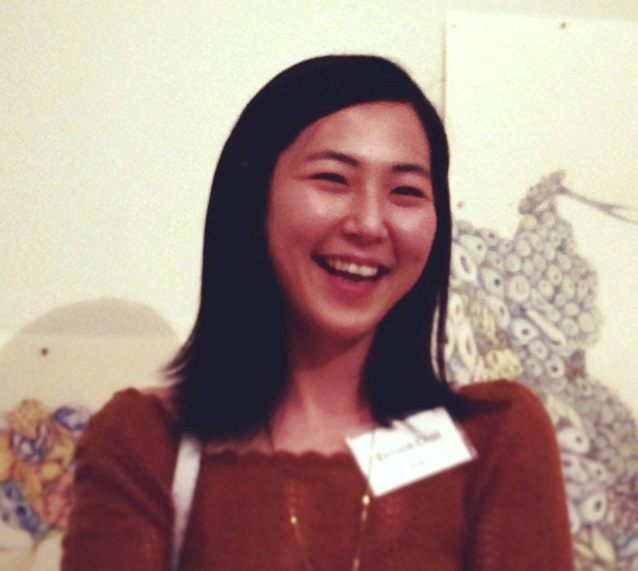 Eunice Choi (b. 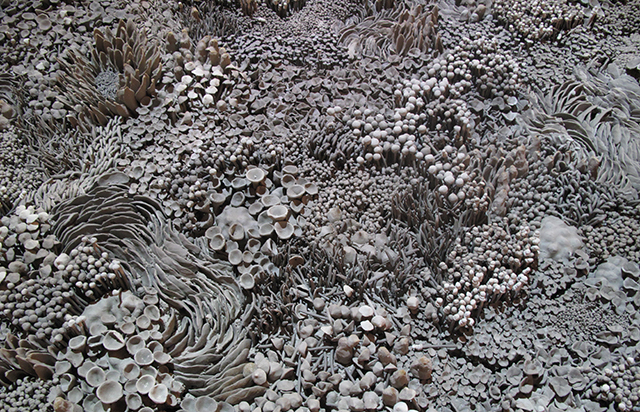 1983 in Seoul, S. Korea) is an interdisciplinary artist who practices in drawing, painting, and sculpture. 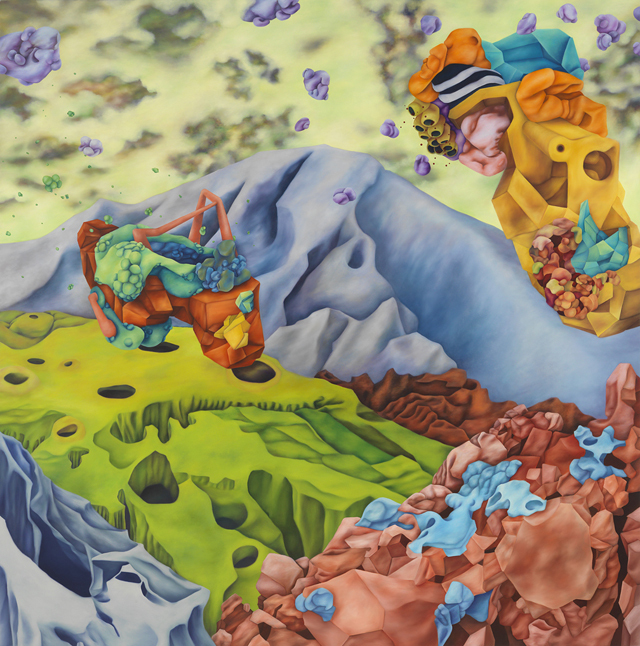 Choi received her BFA in Painting from the University of Wisconsin-Whitewater and her MFA in Studio Art from the School of the Museum of Fine Arts in partnership with Tufts University. Choi has received a number of awards and recognition including a Post-Grad teaching Fellowship at the SMFA (MA), Artist-in-Residence Award at the Kimmel Harding Nelson Center for the Arts (NE) and was featured as an emerging artist in the Boston Globe. 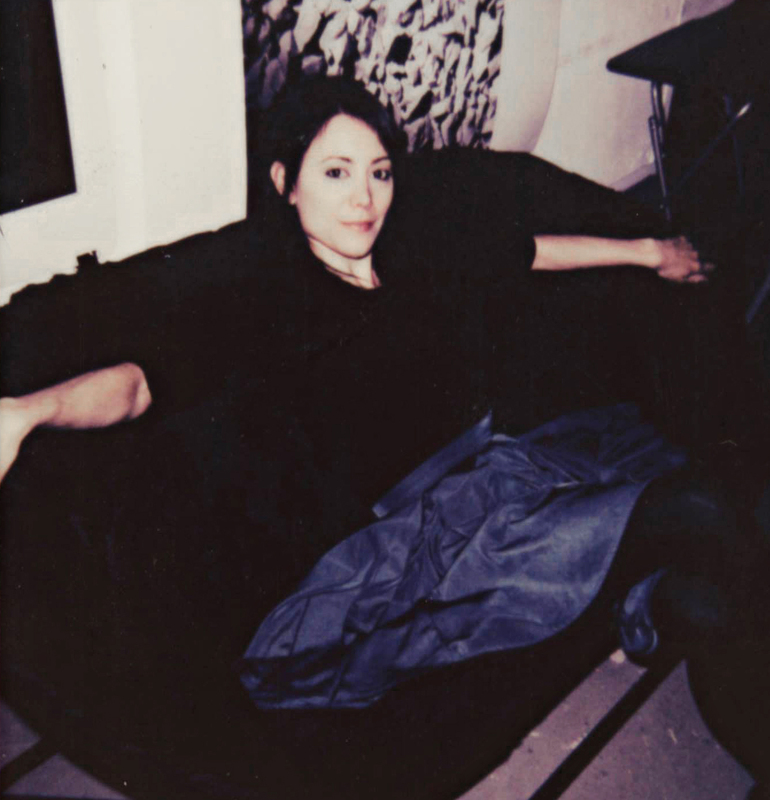 She has exhibited nationally and internationally, including the exhibitions Boston Young Contemporaries, 2014 National Prize Show in Boston, Wisconsin Artists Biennial, Whitewater – Beijing in China, Oaxaca Art Exchange in Mexico and Forget Me Not in Seoul, Korea. Currently, she lives and works in Boston, MA. This entry was posted in Uncategorized and tagged Boston Artist, Colored Pencil Drawing, Fantasy, Oil painting, Surreal World. Bookmark the permalink.